The library allows you to save a constant, an expression, or a function for future use. 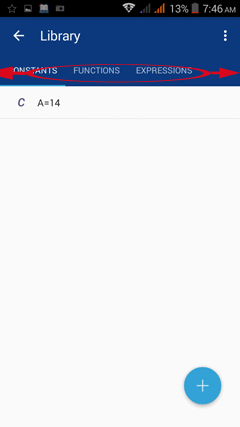 To use the library, tap the three lines in the top left corner and tap either constants or functions to go to the library window. 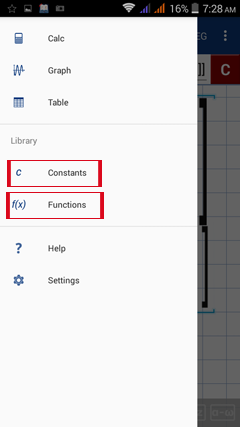 Tapping constants shows you the constants categories and tapping functions shows you the functions categories. Swipe left or right to switch between categories.